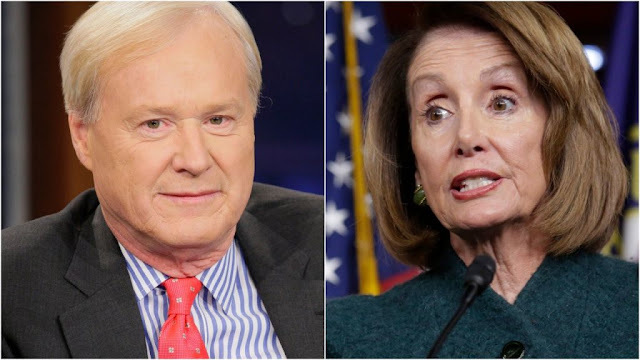 President Trump made Democrats “look like fools” last week when he denied military aircraft to House Speaker Nancy Pelosi for an overseas trip the day after she suggested he delay the State of the Union address until the partial government shutdown is over, MSNBC's Chris Matthews admitted on his show last week. “[Democrats] were in the bus heading to Joint Base (Andrews),” Matthews fumed to the panel on his program, "Hardball." “He made them look like fools sitting in the Capitol in the driveway, basically trying to figure out what’s coming next. He caught them in the act as if they were sneaking out of town and made them look stupid."